How much flowers is too much flowers? 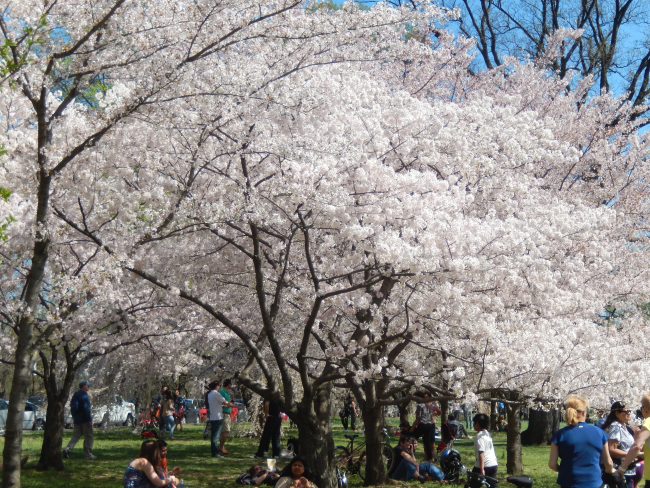 The Cherry Blossom Festival in Washington DC is one of the nation’s greatest springtime festivals. From the modest beginnings when a group of school children re-enacted the initial planting in 1927, the festival has grown to programs lasting five weeks with more than 1.5 million people visiting Washington DC for the occasion. 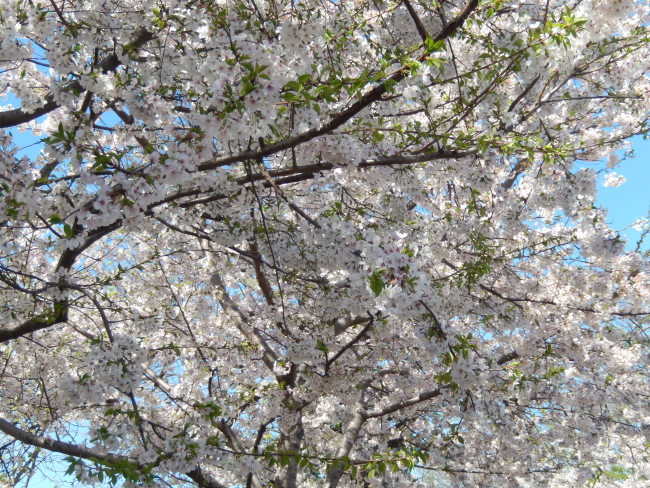 Despite the crowds, it is a fantastic experience to walk under the cherry trees in full bloom. Glimpses of blue sky through the pink and white petals… with the black branches making artistic outlines… and a breeze would send showers of petals down to the ground. This season of bliss lasts just about two weeks, and towards the end of that time, there will be carpets of pink and white all over the place. 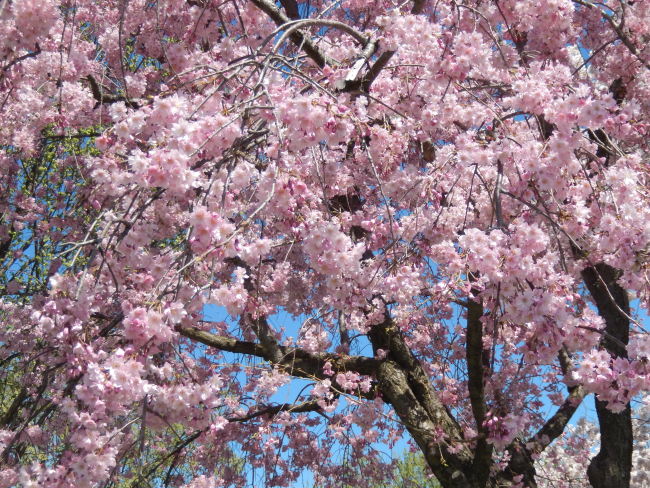 The cherry trees in Washington DC were a gift of friendship to the People of the United States from the People of Japan. 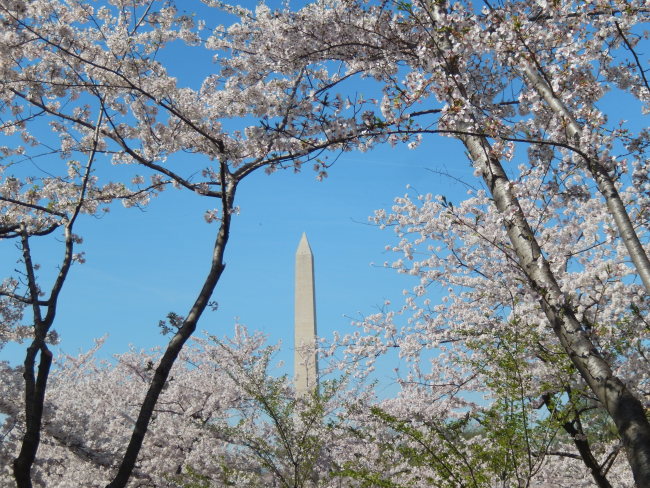 The gift of two thousand cherry trees from the Japanese Embassy, to be planted along the Potomac river, arrived in 1910. However, it was discovered that the trees were infested with insects and had to be destroyed. 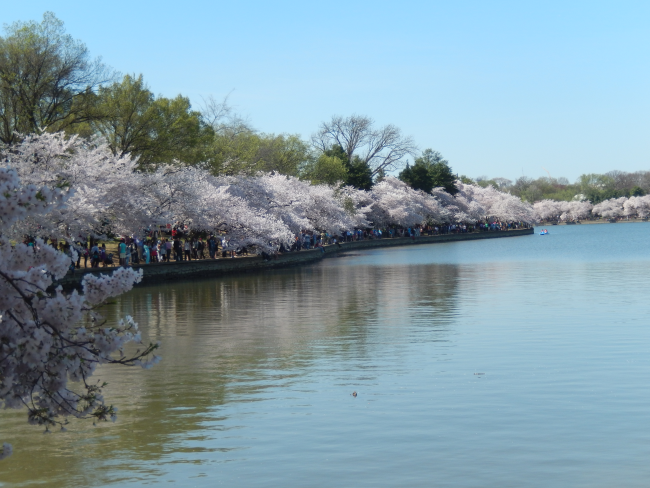 A second gift of cherry trees, now increased to 3,020, arrived in 1912 and were planted around the Tidal Basin, a partially man-made reservoir between the Potomac River and the Washington Channel. 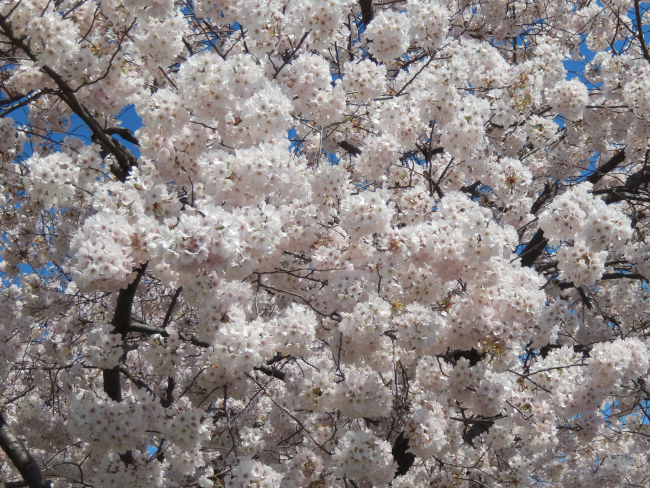 Today, these cherry trees around the Tidal Basin put out the best show in town! More trees, received as gifts as well as grown from cuttings from the original trees, have been planted, around the Tidal Basin and along the Potomac River. 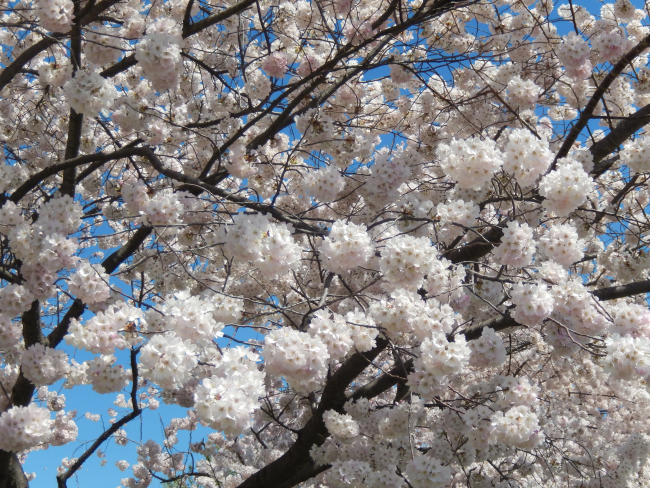 The most common cherry blossoms are of the Yoshino variety, in white or pale pink, each flower having five petals. The Yoshino trees are the first ones to bloom in early spring. 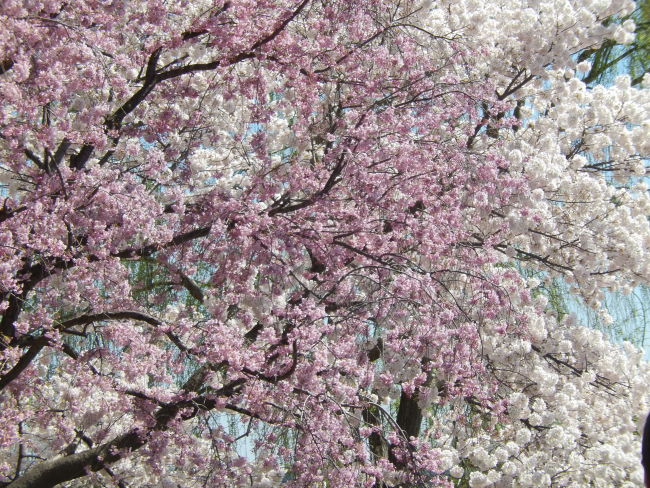 The Kwanzan trees bloom two weeks after the Yoshino trees kick off the show, and are of a darker pink colour and have multiple layers of petals. 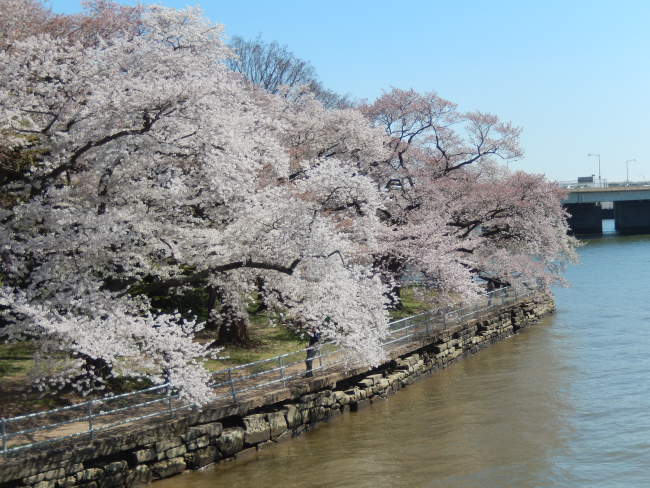 The original trees that were planted in Washington DC came from the banks of the Arakawa River in a suburb of Tokyo. In 1952, those cherry trees, along the Arakawa River, had fallen into decline and the National Park Service of the US sent saplings from the descendants of the original trees back to Tokyo to restore the original grove. 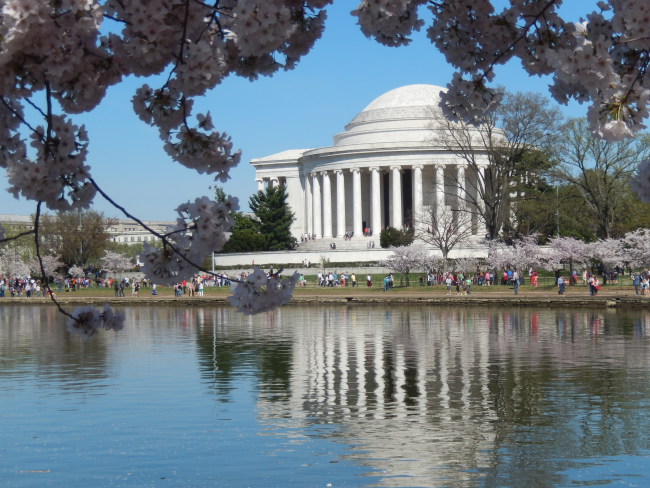 Interesting facts… In 1938, it was decided that a number of cherry trees had to be cut down to prepare for the construction of the Jefferson Memorial (BTW, my favourite memorial in all of DC!) and a bunch of women angry at the prospect of cutting down the trees chained themselves together in protest! And could be pacified only with a promise to plant more trees framing the memorial.